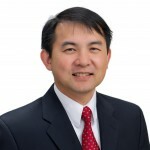 Meet Dr. Matthew Bui M.D., Ph.D.
Urologist at Cedar Sinai Medical Office Towers. Dr. Bui has touched the lives of many people, cured diseases and put patients on the path to a better life. We call Dr. Bui “the doctor’s doctor” since other physicians turn to him for their own personal care! Quickly assess your problem and understand your options. Don’t get overwhelmed and confused with a multitude of information. Get the facts on our website with a simply, quick assessment of your issues, condense and pertinent to your needs. You only have one shot at getting results that are going to last a lifetime. Dr. Bui offers quick and lasting results with extremely accurate precision. Get the right treatment that’s effective for you. Feel comforted in the hands of the doctor’s doctor. Our goal is to get each patient’s life back to normal. We want you to have the best quality of life possible, helping restore normality. Our goal is to provide the outcome and results that will get you to return to restore normality (or normal pattern of life so you can enjoy your life and not be bothered by your urological issues) and get you back to the best quality of life possible. get the facts. get the results. live your life. We are located just West of The Beverly Center at Cedars-Sinai Medical Center. Urological problems can have a significant impact on one’s physical and mental health. Dr. Matthew Bui, a premier specialist in Urology, can help solve and treat the simplest urological conditions to the most complex problems. He will provide sincere and personalized care to deliver the best outcome. Dr. Bui has earned the reputation as “the doctor’s doctor”. According to ProPublica’s surgeon scorecard, Dr. Bui has the highest surgical volume with consistently the lowest complication rate amongst other urologists. Dr. Bui and his staff at Tower Urology provide personalized care with excellent results. To achieve this goal, Dr. Bui has had extensive surgical and medical training to provide you with the most accurate diagnosis and treatment possible. Dr. Bui’s skill and experience exceeds that of most urologists while still delivering unpretentious and honest answers and solutions. Scheduling an appointment with a skilled and talented urologist in Los Angeles will ensure the best clinical results. You can expect a first-class, patient-centered office experience where time spent waiting or filling out unnecessary paperwork is minimized and time spent with the Doctor is maximized. When you’re ready to schedule an appointment, get a second opinion or even for an initial phone consultation, Dr. Bui invites you to call him directly at (310) 854-7851.